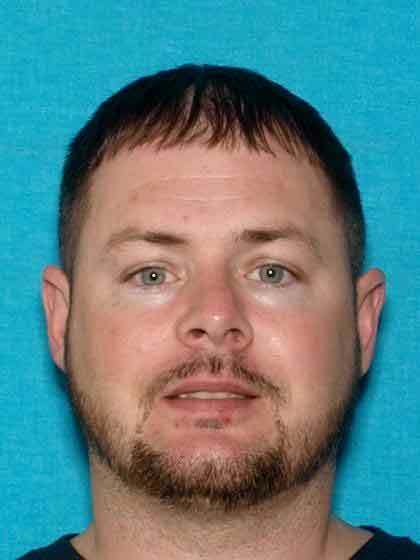 CAMPBELLSVILLE, Ky. (October 16, 2017) – Troopers and local law enforcement are currently attempting to locate 25-year-old Shawn A. Cochran, of Louisville. Cochran was being transported from Green County to the Taylor County Jail when he escaped from the custody of the Green County transportation officer around the Campbellsville-Taylor County water company on South Central avenue in the limits of Campbellsville at approximately 6:20 PM EST. Cochran is a 5’10”, 200 lb., white male with hazel eyes and brown hair. He was last seen in the vicinity of the water company wearing orange pants, a gray shirt, 1 shoe and was handcuffed with his hands in front of his body. State Police are asking for the public’s help in locating Cochran and are encouraged to dial 911 if they have any potential information regarding his whereabouts. Citizens can call KSP toll-free at: (1-800-222-5555). Cochran also fled from police on 9/20/2017 and was charged with Burglary 1st, Fleeing or Evading Police 1st degree, Theft by Unlawful Taking – Auto, Reckless Driving, Resisting Arrest, Criminal Mischief and Parole violation.